The perfect little baby hat from Lemon Loves Layette. The "Bijou" hat in hot pink is the perfect little accessory that coordinates beautifully with Lemon Loves Layette Alison onesies. 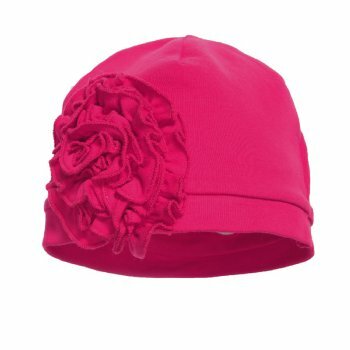 Many moms prefer a little hat to keep their newborns warm. 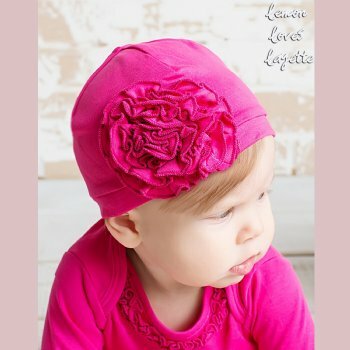 It's 100% cotton and features an adorable flower front and center. A great baby shower gift and perfect for baby's first photo op too.